ExoFit XP delivers the ultimate in comfort. 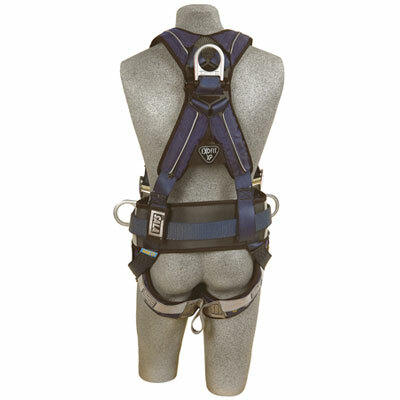 It is the culmination of DBI Sala's experience including the original comfort harness ExoFit, ongoing research, new materials and innovative features. Its design incorporates a single piece of material that wraps around you in the shape of an "X", for the ultimate in no-tangle donning and comfortable security. Its state-of-the-art 3-D mesh lining allows moisture to evaporate and cool air to circulate throughout the shoulder, back, hip and leg pads. This padding is removable and completely washable. XP materials are soft and lightweight, yet extremely durable.